Excellent dermatologist, he helped me out a lot with my psoriasis, once he saw me the 1st time he knew I needed help, he went straight to the point and took care of me not like others trying to get me to buy lotions and repeated visits to charge the medical insurance. Shah Dermatology has a great and courteous staff. It's easy to schedule appointments with them. In addition, Dr. Shah really cares about his patients. He is very precise with diagnosing and treating his patients. Overall I really recommend this dermatologist. I had the best experience at this Dermatology. I had been to others in which I had spend 500$ on my issue. Went to Dr, Shaaf best experience, had my surgical surgery, and was the best experience. ❤️ Will recommend him, anytime especially as a young generation. 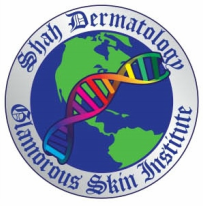 I just recently started going to Shah dermatology. I have struggled with cystic acne for YEARS. I had been on every antibiotic, topical cream, and even isotretinoin. I went to Dr. Shah because I was interested in starting on Isotretinoin for a second course. He suggested that we try and find the root cause of my acne problems, and gave me some solutions. He ran all the proper tests, and finally found that I had a very significant hormone imbalance that was causing a lot of problems for me. I will continue going to Dr. Shah!! I have been to so many dermatologists and he is by far the BEST! On top of expert care, the staff is very open and friendly. They email appointment reminders and call to confirm appointments (which I'm the type of person who needs reminders!) I have 0 complaints, this is a very very good practice that I would recommend to everyone. Mostly my mother for example started going to the dermatologist and meeting Dr. Shah. Her face has been getting better from the last view months when she visit him. My little sister has acne problems and her original doctor used to give her medications for her face, but it just gets worse. Mr. Shah is now giving her great medication and talking with her step by step. If you guys have face problems then you should definitely go to Shah Dermatology.